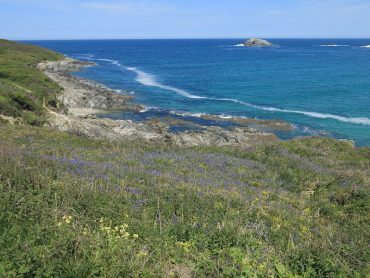 Bluebells on the coast of Cornwall in June! How do you tell the difference between Bluebells and Spanish Bluebells? What’s that string of bright red, waxy berries in the hedge?